If you’re not familiar with the brand, Kia is designed with many drivers in mind. Kia is ever-changing and innovative. Which means, this automaker is consistently challenging itself and its competition by offering good-looking, fuel-efficient, and safe vehicles that are a joy to drive. It’s clear to see why Kia has become a top contender in the mid-size car segment in Naperville, IL and the surrounding communities. 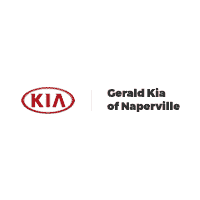 No matter the Kia model you are looking for, Gerald Kia of Naperville offers a full lineup of quality pre-owned Kia vehicles. From the sporty Forte to the spacious Sportage, we know we’ll have what you’re looking for. In other words, pre-owned car shopping in Naperville should be as fun and carefree as the used Kia you drive. So allow us to find the one that matches your lifestyle and driving needs. It’s not only the stunning style that keeps used Kia shoppers wanting more, but it’s also the value and safety features that have kept Kia on the map for years. Now is the perfect time to own a used Kia from Gerald Kia of Naperville. Our used vehicle inventory is ready for you to view, and we look forward to meeting you for a test drive. If you have any questions or concerns before coming in, please give us a call or contact us online.